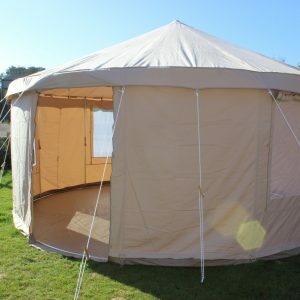 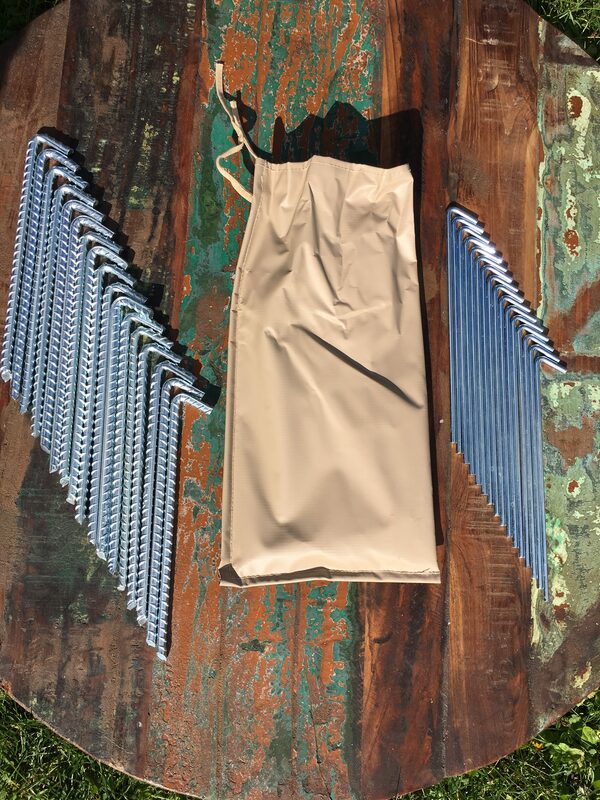 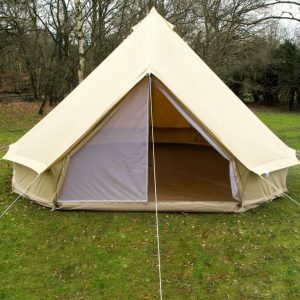 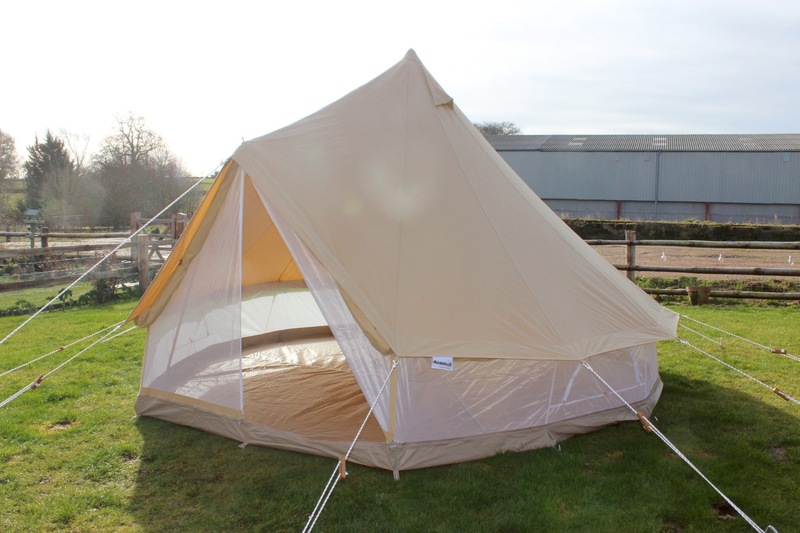 Karma Canvas 4M ZIG PRO 360* MESH Bell Tent. 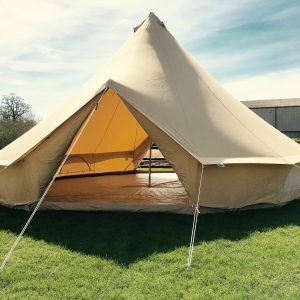 * Extra thick, 32mm central pole. 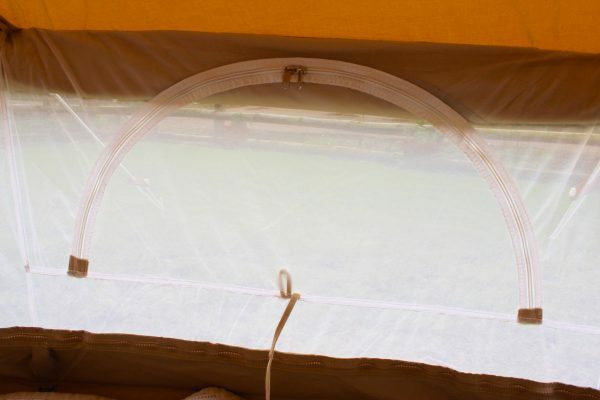 * The guys and slides are UV stabilized so they’re not going to fade and perish. 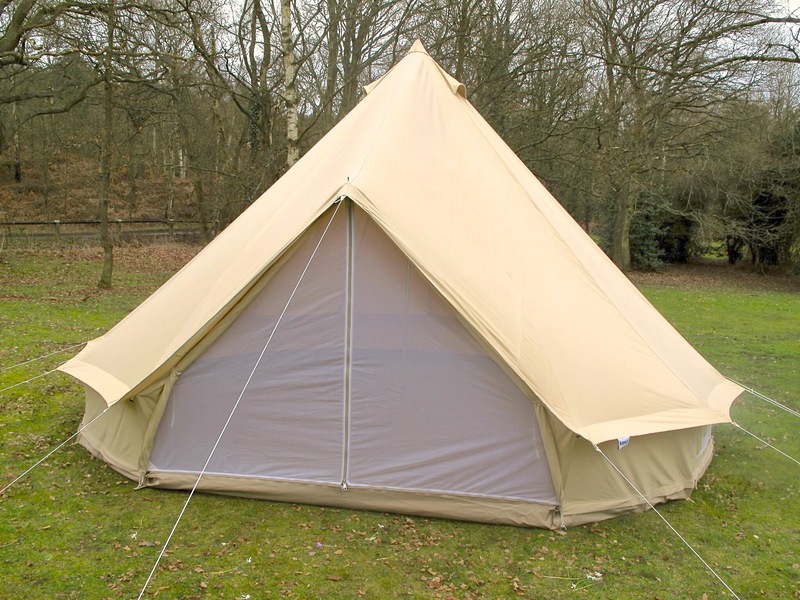 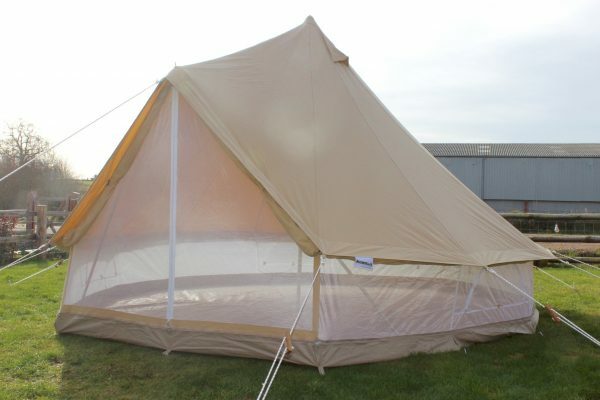 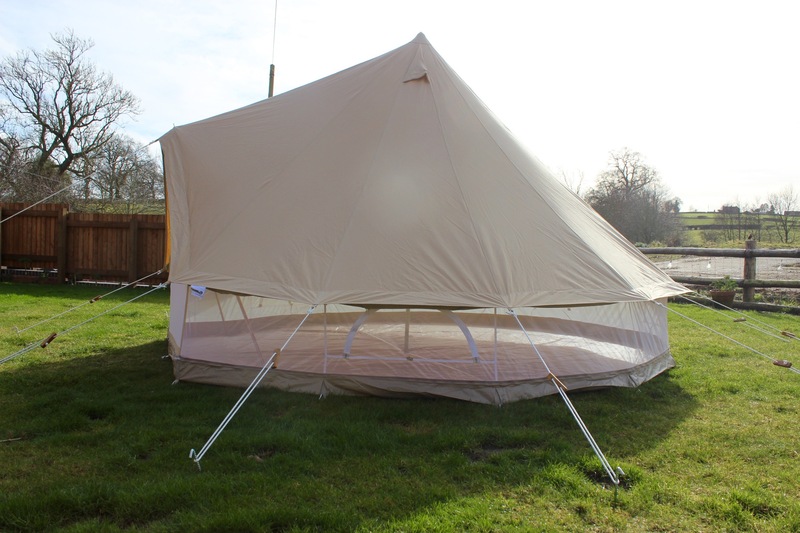 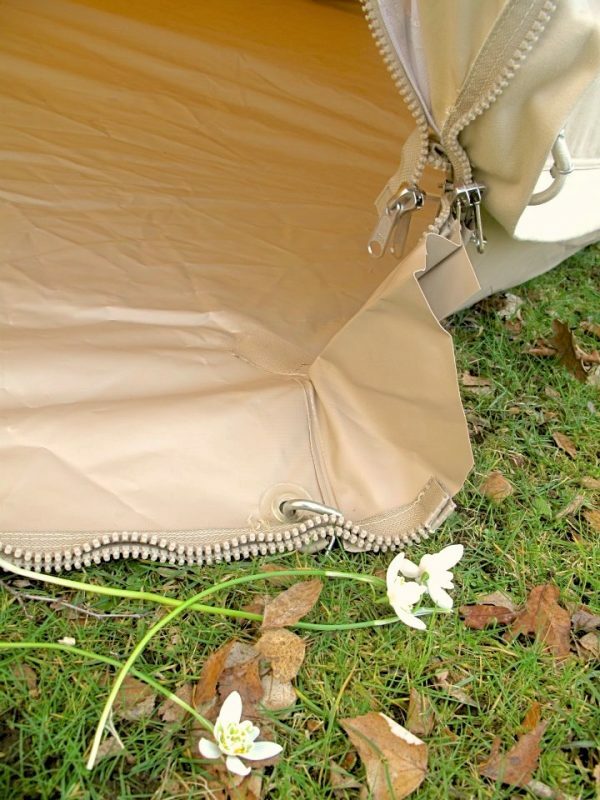 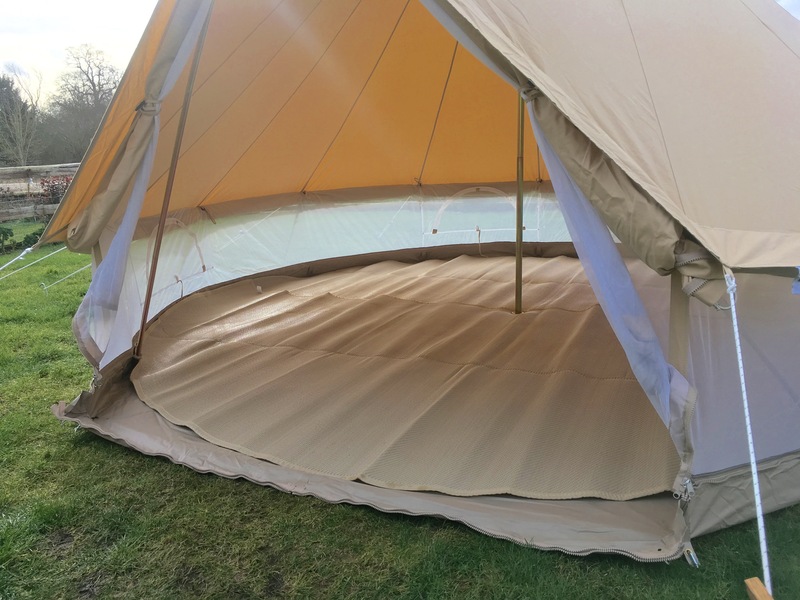 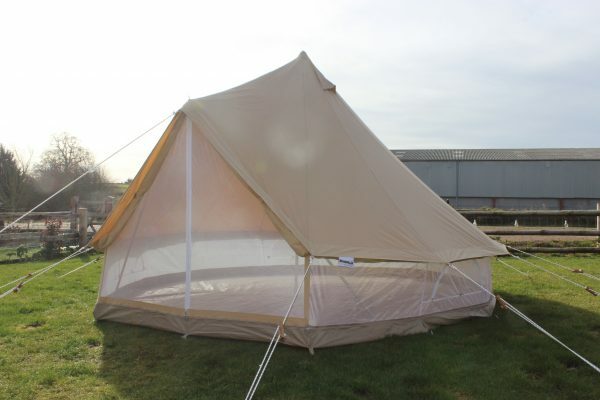 * The 4m bell tent can easily accommodate 2 double air beds with lots of room to spare. With guy ropes fully extended it’s a 6m footprint.